A4 portrait soft cover book, 32 glossy pages. 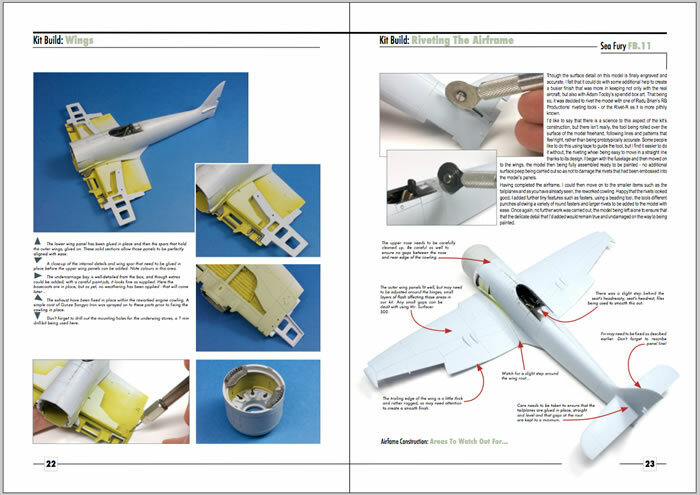 Clear photos, step-by-step build hints, useful written ideas, detailed images of the real thing. A real modeller’s guide. A very worthwhile booklet, well produced and clearly illustrated. 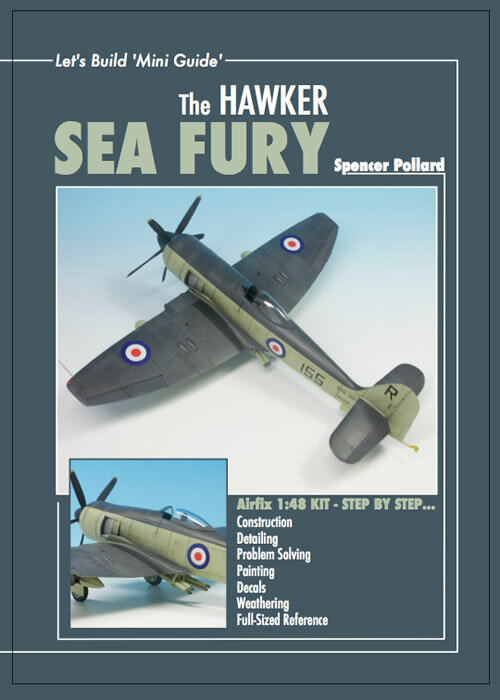 The text is concise and will help any modeller build, and where needed, rectify, the new Airfix kit. The painting tips alone are worth the price. 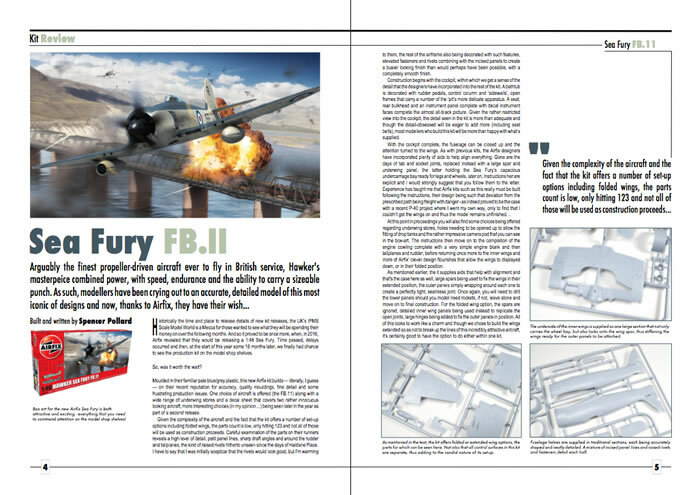 Spencer Pollard needs no introduction to modellers of Airfix kits and readers of Model Airplane International. His skills as a model maker and writer are beyond question and we can all learn much from his words, photos and the youtube videos he has made. This I believe is his first venture into the ‘How to Build’ literature field and I think it augurs well for any future volumes. 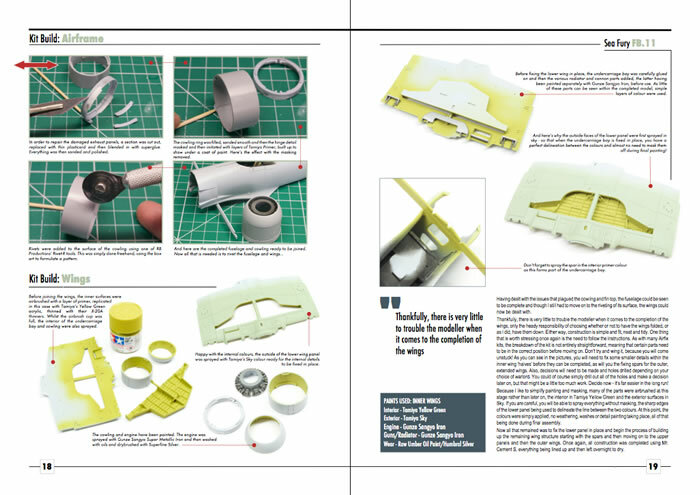 This 32 page ‘bookazine’ as I believe they are called is just what it says and takes the modeller through the building of the recently released Airfix 1/48 Hawker Sea Fury. a challenge to produce a two-seat T.20 from this kit! Each step is illustrated with excellent, clear, colour images of the work that was carried out. I especially liked the detailed explanation of the painting techniques that Spencer used. The result of his work is shown in the superb centre-spread - just lovely. 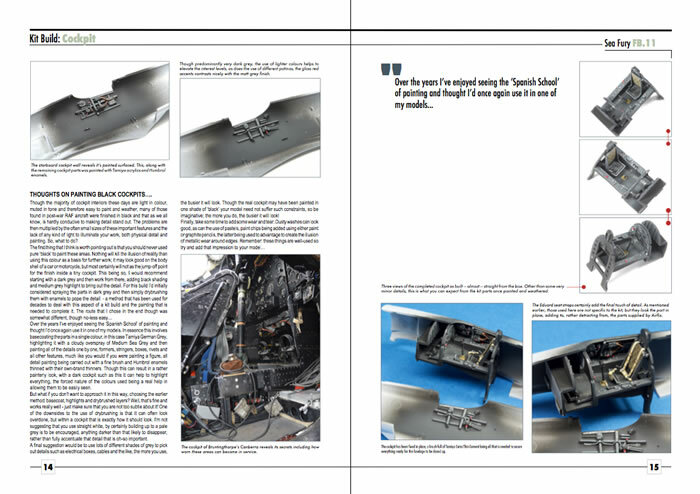 A significant feature of the build is that Spencer does not gloss over any areas where he ran into problems, but explains how he fixed them up - his repair treatment of the short-moulded fin and exhaust shroud are an excellent lesson in working with any issues presented by the not-quite-perfect kit. Despite the issues ( which may well pertain to the first kits out of the moulds) he certainly commends this kit to anyone as the very best kid on the block and one that we have been looking forward to for eons. As such it, both kit and bookazine comes highly recommended. Thanks to Spencer Pollard for sample.